It’s the 365th day of my project at last. When I started this project a year ago I had my doubts about whether or not I could make it beyond a month or two. Over the many months I have learned to create daily, good or bad, to just make it happen as part of my daily routine. It been a great year and I want to thank eveyone who has encouraged me, and given me a boost of energy and inspiration to keep going on. My biggest thanks goes to my partner Frederick for his love and support, I could not have done it without him. My plans from here forward are to continue to create daily. I may take a break for a week or two now, but I do plan keep striving to grow as an artist and challenge myself to keep learning and growing. I may even do a second year of this project, but to be honest I just don’t know yet. What I can say with certainty is that I will be posting here regularly. Again, many thanks to all of you for making the past 365 days so wonderful!!! Congratulations Keith! Great work all through the year. I know you surprised yourself some days as you worked, to just get it done, things happened that you could not plan. I know you learned something about just showing up at the design table and how satisfying it is to accomplish something each day no matter how simple, it all counts. I am very proud of your accomplishments. 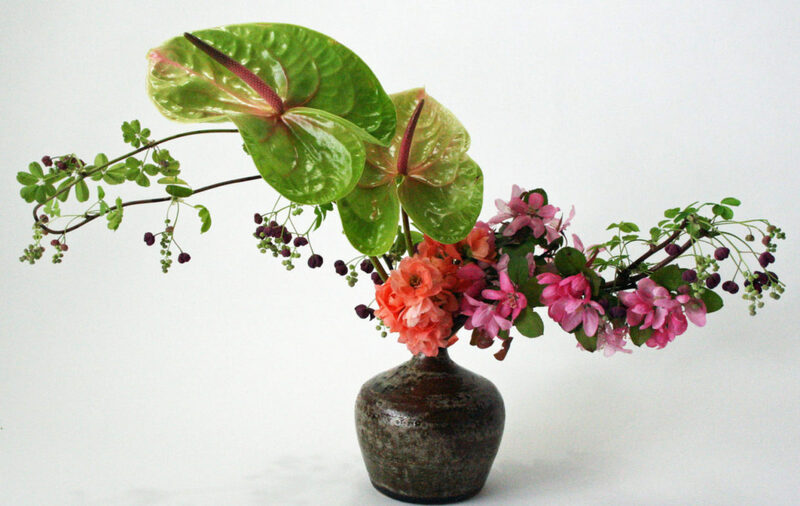 I hope you can create a series of prints or a book of your favorite ikebana works in the coming year. I sure would like to have a book of your creations in my library. Great Job !! Thank you for sharing your work with us this past year, It has been an inspiration! Congratulations! It has been a wonderful year. I admire your will and great works. Thank you Shunho, it has been a great lesson in perserverance and the development of a wonderful daily creative habit! Congratulaions, Keith!!! What a wonderful accomplishment. I love your blog and I’m glad that you will continue it. You inspire me when I don’t have many materials to use for my own designs. So glad that you are in the Sogetsu “family”. Hope you will attend the 9th North American Sogetsu Seminar in LA. Would love to meet you. Congratulations! I have enjoyed following your artistic creativity with flowers and your incredible vase collection over the past year. I watched the arrangements click by: day 10, 11,12 . . .77, 137 . . .299, then 360 . . 365! 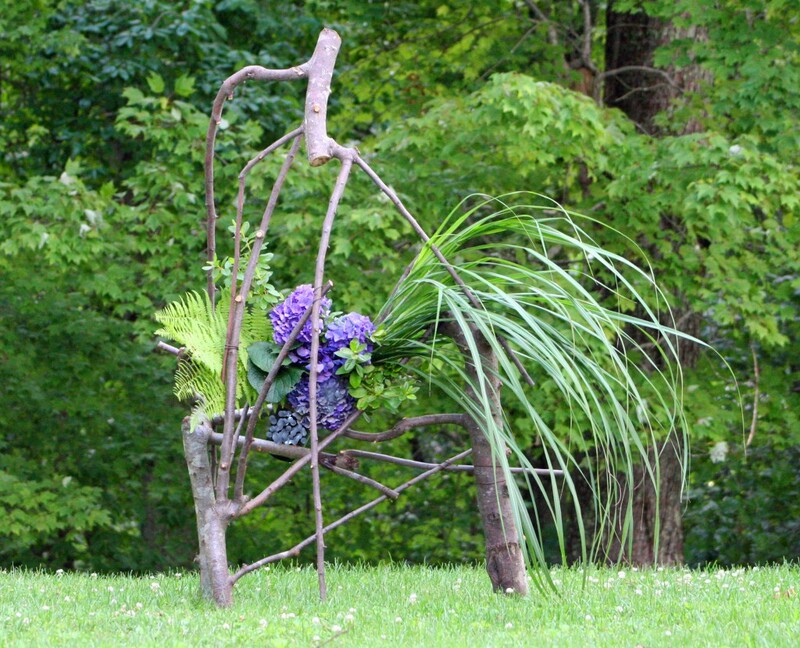 You’ve used a great variety of leaves, blooms, structures and vases to make serious, contemplative and whimsical arrangements. They’ve inspired me. Many thanks for sharing your work. Thank you Royetta! I think I have learned to look at everything as possible material, sooner or later you will find the right use for it. THe Sogetsu Seminar In LA is already on my calendar,I just have to work it out in my schedule but I hope I can be there. I went to the last two in Portland and Delray Beach and don’t want to miss LA! A million heart felt thanks for this wonderful blog. I am truly amazed by all the wonderful things you have created and been so willing to share with all of us. It would be selfish of me to request that you continue with another year…or 2…..but would you? ?